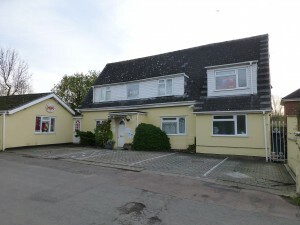 Foxcubs Day Nursery is a Children’s Day Nursery set in a large 19th century house in the heart of the Reddings area in Cheltenham, Gloucestershire. We are committed to recognise that every child is a competent learner from birth, who can be resilient, capable, confident and self-assured. We know how important it is to get a child’s environment ‘right’ to make it an exciting place to be. Our aim is to offer a safe and loving learning-through-play environment, where each child is treated as an individual. UPDATE – We are hiring! We are pleased to announce that we are expanding our team and are on the look out for nursery nurses. If you, or someone you know, are looking to join the Foxcubs Day Nursery team, follow this link to our vacancies page. We at Foxcubs Day Nursery are committed to recognise that every child is a competent learner from birth, who can be resilient, capable, confident and self-assured. We know the importance of positive relationships within a child’s world and we know how important it is to get a child’s environment ‘right‘ to make it an exciting place to be. 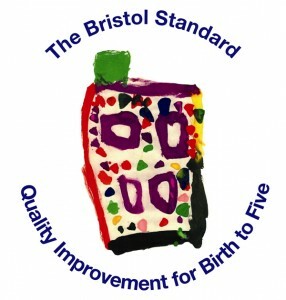 Foxcubs Day Nursery has been awarded with ‘The Bristol Standards Quality Improvement for Birth to Five‘ certificate! Early help is about providing support to potentially vulnerable children, young people and their families as soon as problems begin to emerge or when there is a strong likelihood that problems will start in the future. It is also about providing support at any and every stage of a child’s life; pre-birth, during pregnancy, childhood or adolescence. Children and families are entitled to early help if and when they need it. It may also be provided through an increase in levels of universal services, or services provided or commissioned in localities. We here at Foxcubs Day nursery will support families and children in need of early help. We like to encourage parental involvement and ask you to join in nursery life whenever you can. Here at Foxcubs Day Nursery we follow seven areas of learning and development and offer a wide range of activities to cover these areas. From the day your little one begins with us, they will have a learning journey of their time at Foxcubs. These really are something to treasure. We enjoy arranging cake sales, quizzes and other fun filled activities to raise funds and awareness for charities and other worthy causes. We do a lot throughout the year for many different organisations including ‘Children in Need’, Red Nose Day and many others. We have a duty to protect all children. Foxcubs Day Nursery has a Child protection policy and 2 designated child protections officers. All our policies and procedures are available for you to look at at any time. We take safeguarding extremely seriously and if you would like a copy of our child protection policy, please do not hesitate to ask. Foxcubs Day Nursery supports equality and inclusion and helps children learn the fundamental British values of democracy, rule of law, individual liberty and mutual respect and tolerance for those of different faiths and beliefs. Foxcubs Day Nursery continually reflects and improves outcomes for children. Please take a look around our website, we have tried to provide as much information as possible but if you have a question about the Nursery that you can not find the answer too then please get in touch with us. We hope to meet you and your children soon!